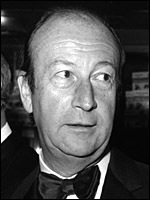 Milan-born Joseph Janni was in Britain since 1939, after studying at Milan University and Rome Film School. Among his early productions are the operatic The Glass Mountain (d. Henry Cass, 1949, which he co-wrote), Pat Jackson 's hospital drama White Corridors (1951), and an adaptation of Nevil Shute's A Town Like Alice (d. Jack Lee, 1956). In the '60s he became associated with the New Wave , through a productive partnership with director John Schlesinger which lasted, intermittently, until the late '70s, and led to such high-profile films as Darling (1965) and Sunday Bloody Sunday (1971). As producer, he enjoyed the respect of directors and actors alike.